Generally speaking, I noticed that the smaller the town, the bigger the problem. 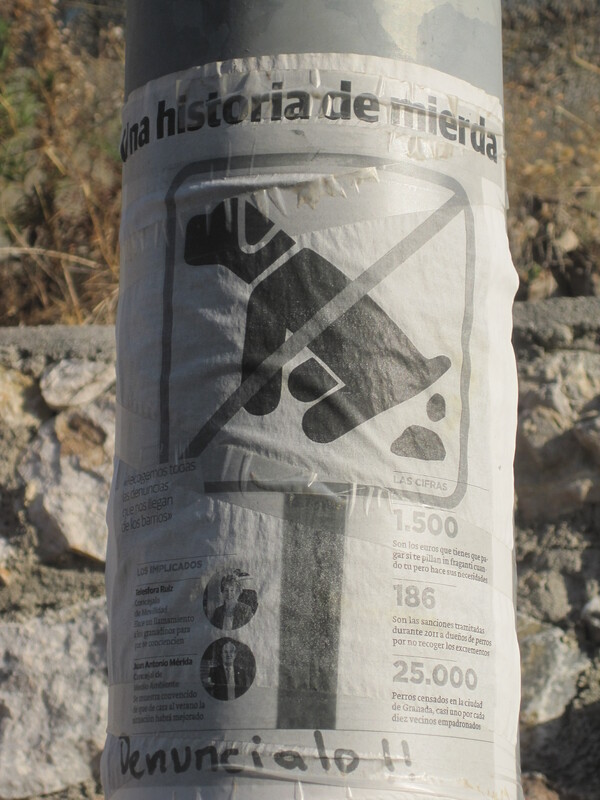 I doubt this speaks to the greater intestinal fortitude in poop cleaning matters of Andalusian city dwellers so much as it shows which places can afford regular street cleaning. At night, most restaurants and cafes won’t even bother setting up until about 8:30 or 9, and no one will even show up until 10 PM or so. And I think before heading over here, and I’m stereotyping a little bit that most Americans would also think as I did, I figured (somewhat jokingly but somewhat not) that it was this scheduling was simply due to the general laziness that everyone attributes to the people of countries located on the Mediterranean. Well…maybe… but now I seriously doubt it. Primarily because of one huge reason… it’s f-ing hot here… really hot! One evening in Seville I went for a jog at 8:30 PM. I even hesitate to call it the evening because the sun doesn’t go down until 10:30 PM-ish, so it was still very sunny outside. It was warm, but I figured I could handle it as I’d been acclimatizing to the heat over the past month. So I’m running, and on my way back I pass one an electronic sign in the road (these are somewhat ubiquitous in Seville) which shows a temperature of 41 degrees Celsius. I don’t think much of it other than that it seems high (as a regular Fahrenheit user I don’t really know the general equivalent Celsius numbers to equate with what it feels like outside…stupid metric system). I get back to my apartment, and after walking around a bit (and by walking around I mean laying on the couch drinking a beer) I conclude that I’ve likely given myself a a mild case of heat exhaustion. So I get on the intrawebz to do the temperature conversion… and 41 degrees Celsius is…wait for it… 106 degrees Fahrenheit. 106 degrees! At 8:30 in the evening! In June! Now I’m sure fall all the people who live in Phoenix would say that’s not so bad… but you all have air conditioning everywhere… that is not the case here. So it’s hot… and I certainly wouldn’t want to be working in a shop, or walking around, or pretty much doing anything (shopping included) in that weather. What does the heat make one want to do in the afternoon? That’s right… go inside, cool off and take a nap. These guys have hot afternoons dialed. 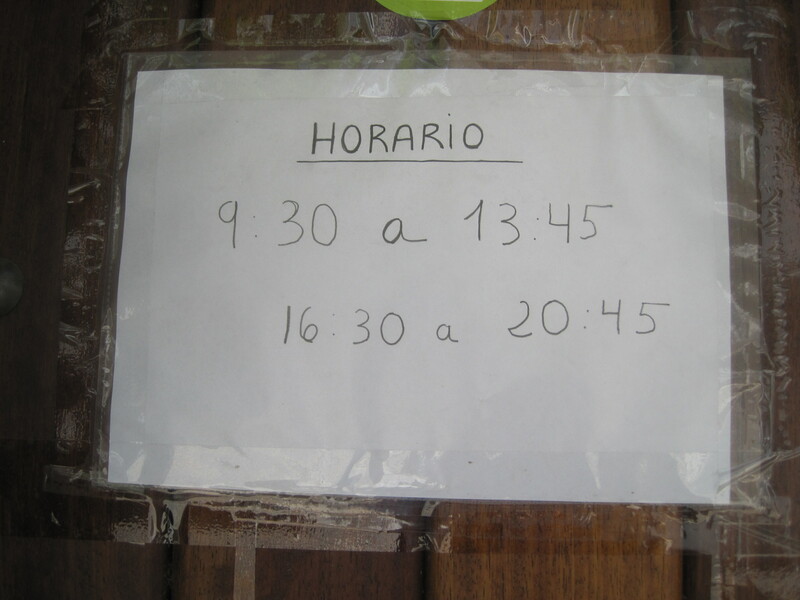 I think that, clearly, the heat also explains why Spaniards don’t eat dinner until 10 or 10:30ish every night, and why everyone stays up until 1 or 2 am (even little kids). In Seville it was literally to hot to want to go outside until 9:30 or so (keep in mind the sun wouldn’t go down until 10 to 10:30ish), and it didn’t really even begin to cool down until midnight. So, everyone just hangs inside until later (and who wants to eat anything in that kind of heat anyways). As always… when in Rome…do as the Spaniards do right? My general schedule was as follows… usually get up around 10 or so, do some sightseeing (or whatever it was I’d needed to do) until about 3, then go back inside and chillax (lunch, naps, read, maybe workout, etc.) until about 9 when I’d start to think about making, or getting ready for, dinner, eat around 10 to 11, then stay up until 2 or so. It does seem a bit like a completely ridiculous schedule until you’re here in the heat…and then it really does make sense. Oh, and just as an aside, you can imagine what all that heat does when mixed with observation number one above… yeah, you’re welcome for that pleasant thought. 3) Tapas, Tapas Everywhere. You want to go out to eat anywhere in Andalusia and you don’t like tapas…well good luck to you as that’s really all you’re going to get. For those of you not familiar with the concept, tapas are small plates of food (think a plate about 4 inches in diameter)…generally consisting of either some meat, cheese, or various variations of fried fish and potatoes. Tapas can be quite good, and they are generally pretty cheap (tradition in Andalusia dictates that if you order a drink you get a tapa for free…but I didn’t really find that to hold true in that many places outside of Granada). In terms of portion size, generally, one can also order food in a racion or media racion sizes… just think of it as small (tapa), medium (media racion) and large (racion). When I first got to Andalusia I was pretty excited for tapas, as tapas places are what Andalusia does (in Ibiza, to save money, I had been cooking most of my own food… and Ibiza isn’t really known for tapas the way Andalusia is). And for a couple of days I was loving them… but just like with anything… too much any one thing makes it a bit boring. I got tapaed out. However, that presented a major problem, as there’s really not that many other types of places to eat out around Andalusia (affordably anyways)… and even the tapas places themselves all serve pretty much the same exact thing (so there’s not even variety in the tapas themselves). Even the Spanish restaurants (like a proper sit-down style restaurant) pretty much had the same menu choices. Honestly, this situation did remind me how good life can be in the Bay Area… you can pretty much get any type of food anytime you want it there (or on most major US cities). But hey…the Spanish eat spanish food… I guess I shouldn’t be surprised by this. Suffice to say that I was very glad to get to the apartment I was staying at in Seville so I could cook my own food for a while… and I haven’t had a yearning for tapas for at least a month now. This entry was posted in Spain and tagged food, spain, weather by Richard. Bookmark the permalink.